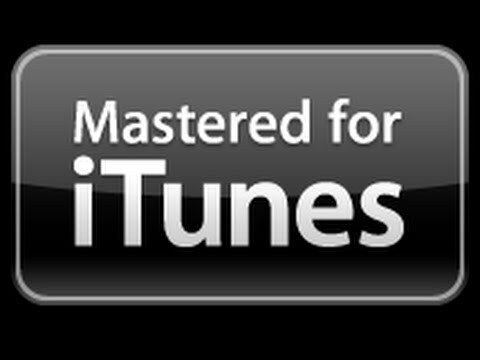 I’m thrilled to announce that Binary Feedback is now an official supplier for Apple’s Mastered For iTunes program. Using a quality procedure I approved with Apple HQ, I am able to prepare final masters that will sound fantastic in iTunes. But it also means that your product will be badged as a Mastered For iTunes (MFiT) release, which understandably they feature prominently on their store. It needn’t mean that the hi-resolution master audio would be made to sound any different for iTunes. In fact the goal is to keep it as perceptibly close to the source as possible, monitoring the output of their unique compression algorithm to ensure the maximum amount of clarity and detail is retained on what is arguably the world’s most popular music download store today. To find out more about the Mastered For iTunes program and whether it’s a good choice for your release, you are very welcome to email mastering@binaryfeedback.com to discuss your requirements with me. This entry was posted in Uncategorized by huejahfink. Bookmark the permalink.